In 2003, District 23 adopted the Zonta Birthing Kit project that was proposed by the Zonta Club of Adelaide Hills. This project involves clubs arranging birthing kit assembly days to put together simple clean birthing kits that are sent to help birthing assistants in developing countries. 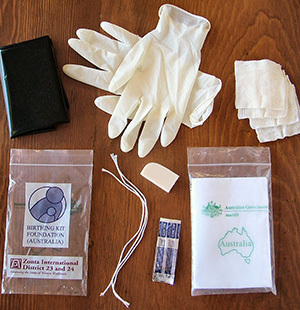 The kits cost $3 each and consist of a sheet of plastic, gauze, string, a blade, soap and gloves. Over one million birthing kits have been sent overseas so far. This project was recognised as the top Zonta International District Project at the Zonta International Convention held in Orlando in 2014.